Sanchem offers 3 RoHS compliant products for zinc passivation and as a conversion coating paint base: SafeGard CC-3400, SafeGard CC-13062 and SafeGard CC-8400Zn. SafeGard CC-8400 is a RoHS compliant chromate-free conversion coating and passivation treatment for zinc, zinc alloys, zinc plating, galvanized steel and silver. SafeGard CC-8400Zn is a cold-applied, colorless, inorganic coating that has the passivation performance of chromate and requires only a single application tank. This product applies in less than 1 second, passes the copper sulfate test, will not dry out, is unaffected by heat and is economical to use. Aside from exceptional performance this product can be easily integrated into standard galvanizing lines during annual maintenance shutdowns. SafeGard CC-8400Zn can be applied either in the quench tank or at room temperature the end of the process line. Prevents formation of white rust, often referred to as "storage stain". 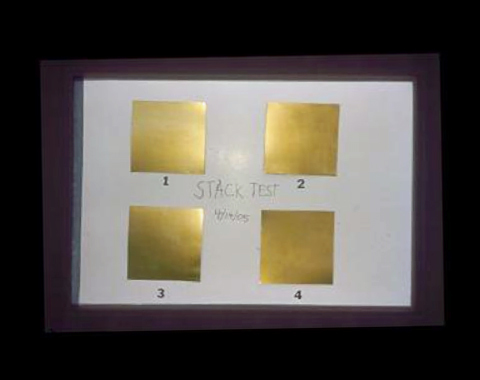 Meets ASTM Standard B-940-05, Non-Chromate Conversion Coatings on Zinc Surfaces. 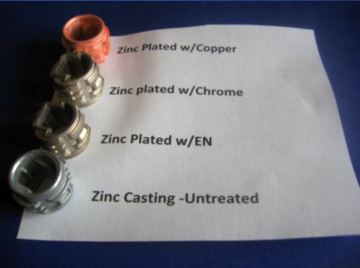 Salt Spray ASTM B-117: Over 300 hours zinc plating, galvanized steel and over 300 hours zinc castings (when used with SafeGard CC-4000 seal). Easy to use and maintain, no sludge will builds up in tank. Perfect for high temperature applications –doesn’t breakdown when heated. RoHS Compliant - SafeGard CC is completely chromium free. Economical – one gallon of SafeGard CC concentrate can treat 10,000 ft2 of zinc! Heating will not affect chromate-free SafeGard CC conversion coating. This is due to the fact that SafeGard CC reacts to the zinc surfaces at the molecular level it is not a surface coating. It is a true conversion coating. SafeGard 13,062 is a conversion coating for use on zinc, zamac, and galvanized metal. This leaves a clear colored surface that prevents zinc oxide formation due to humidity. This product is used before painting. "SafeGard 8400Zn" is the non-chromate white rust preventive for galvanized steel. This dry in place, chemical conversion coating reacts with the zinc surface to form a highly protective colorless film on galvanized metal, zinc and zinc alloys. Prevents the rapid formation of the white film of zinc oxide that forms on galvanized sheet steel, galvannealed, galvalume, and other zinc plated materials. Contains no toxic chromate, cyanide or fluoride, thus it is easy to dispose. Excellent paint base. Gives filiform performance equal to that of chrome-chromate coatings. 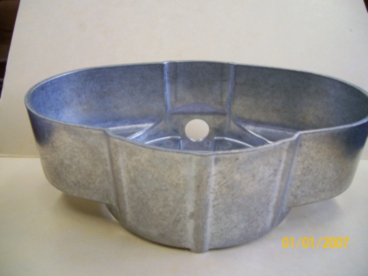 High corrosion performance can allow you to get the same corrosion performance using a thinner galvanized coating with SafeGard CC-8400Zn as thicker zinc galvanized coatings. A major cost savings. SafeGard 13,062 is a conversion coating for use on zinc, zamak, and galvanized metal. This leaves a clear colored surface that prevents zinc oxide formation due to humidity. This product is used before painting. 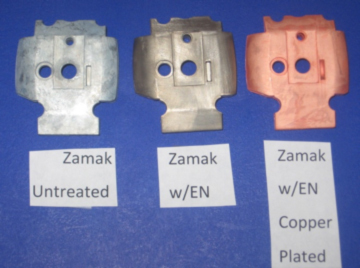 SafeGard CC - Plating Catalyst can replace traditional time consuming zincate and copper strikes before electrolysis nickel. 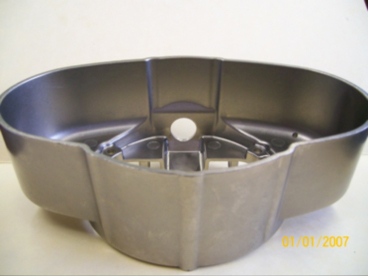 For more severe environments the use of electroless nickel base can increase the life of a zinc part dramatically. Use SafeGard CC when RoHS compliance and YOUR company's product performance are important.